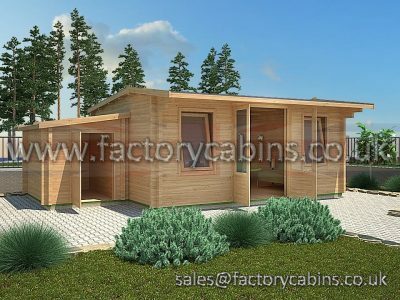 These log cabins are manufactured in the Baltic States, meaning that only high-quality Baltic and Siberian pine (spruce) is used to construct the log cabins. 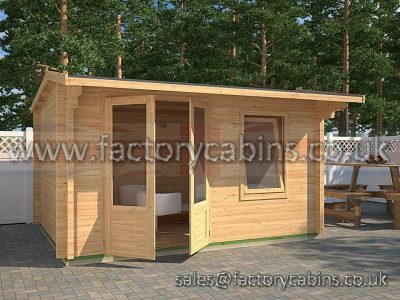 This timber is FSC certified, meaning you’re not only getting high-quality construction and materials, but it also comes from government-managed and responsible forests. 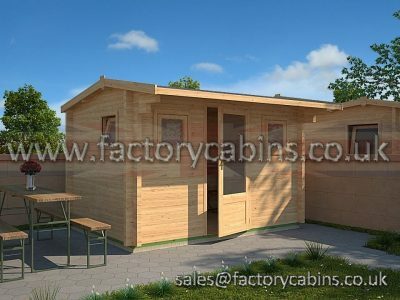 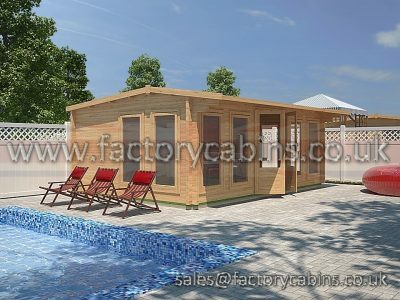 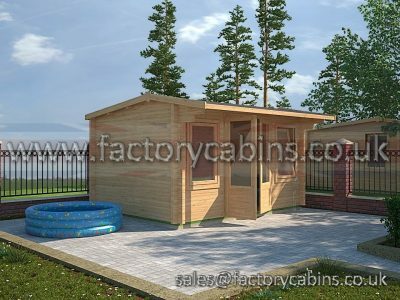 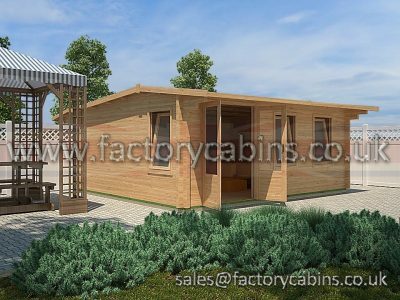 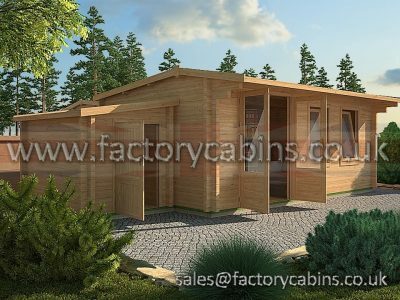 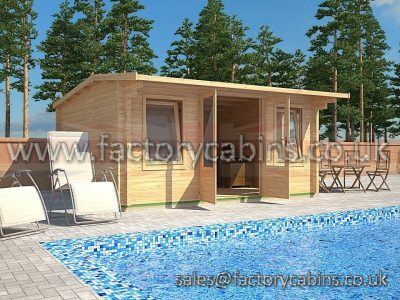 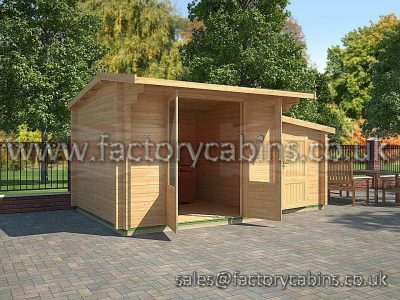 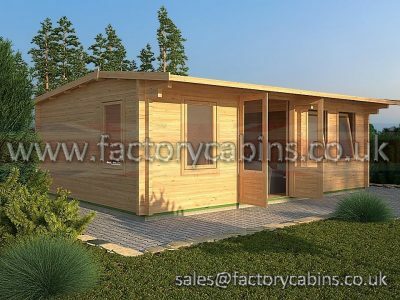 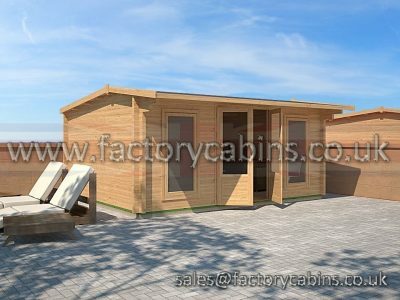 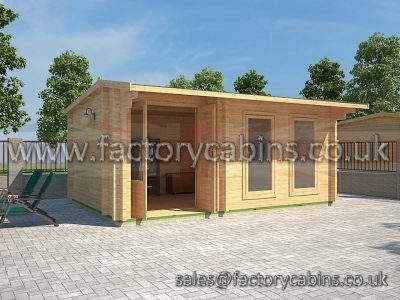 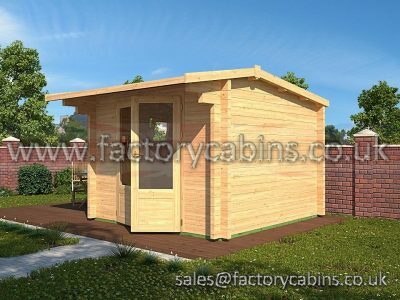 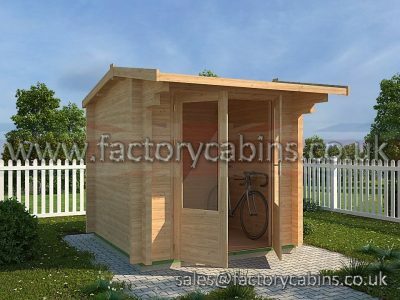 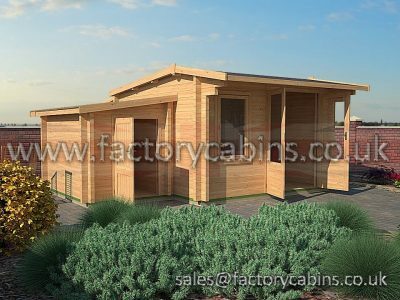 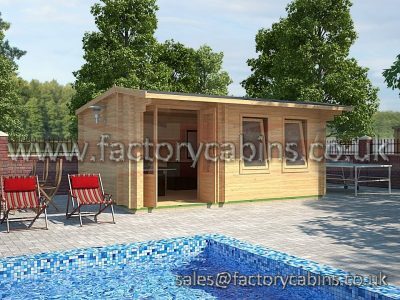 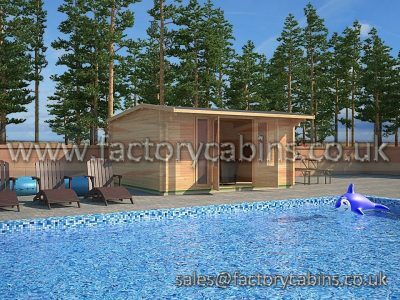 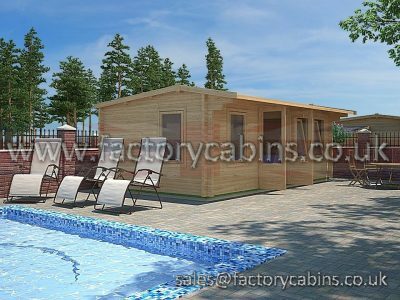 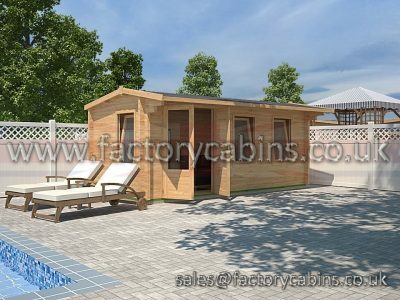 The cabins are constructed by very experienced joiners and the windows and doors are also made from joinery Baltic pine, milled on the latest CNC machines before they are hand-joined. 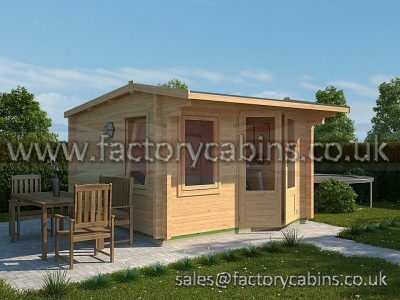 Simply put, the location of our supplier means that they can hand-pick quality timber right on their doorstep, ensuring quality throughout and eliminating the chance that your cabin will be made from poor low-quality wood that isn’t weak, but also managed in an environmentally unfriendly and irresponsible manner. 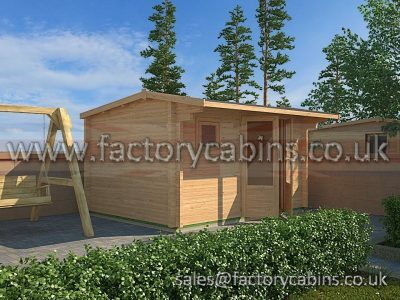 An advantage of the high-quality timber and construction is that DF range log cabins are very simple to manage. 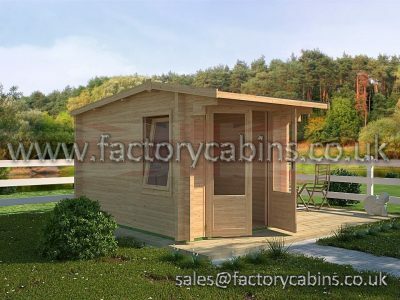 If the outside is protected with a micro-porous paint to allow molecules of air to pass through, you can expect the cabin to last a very long time even in regions where there is heavy rain. 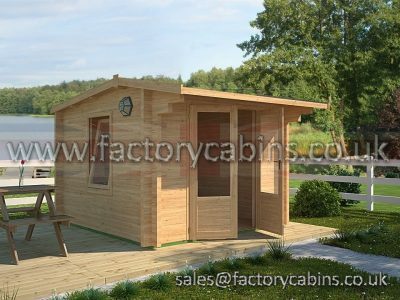 The purpose of the micro-porous paint is to allow the timber to breathe easily while also providing a waterproof layer of protection. 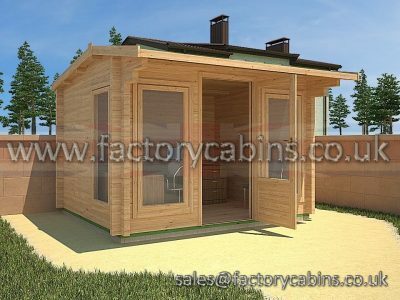 Two coats are recommended to ensure that the timber is protected, and you only need to re-coat once every three to five years. 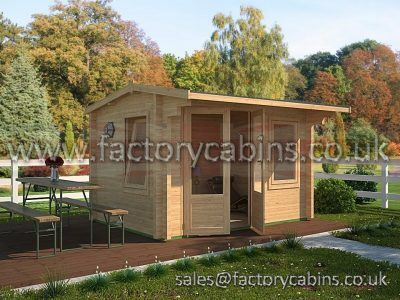 This means the DF range will continue to withstand the elements as long as you maintain it correctly–it will survive a very long time without any wood rot or disintegration! 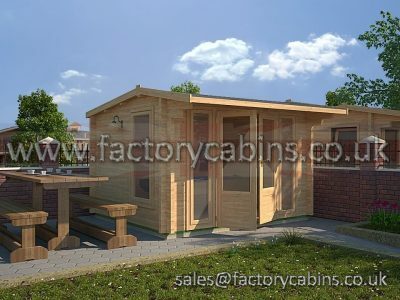 Get in touch with Factory Cabins on 01452 223591 if you want to learn more about our DF range of log cabins or if you would like to ask any questions about our buildings. 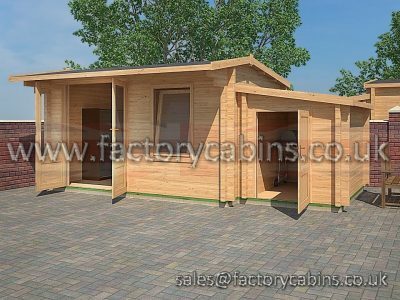 You can always take a visit to our display site at Tewkesbury, where we have a variety of cabins on show. 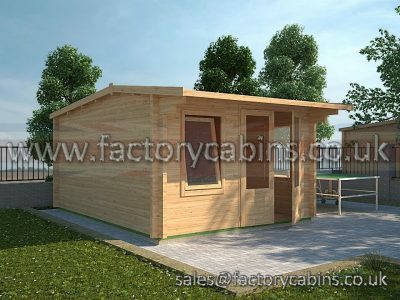 Something that makes DF range stand out is the wall thickness. 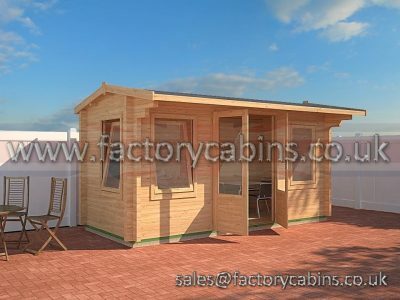 Many competitors use a thickness of around 28mm for their walls, but this is what DF range uses for just their floorboards. 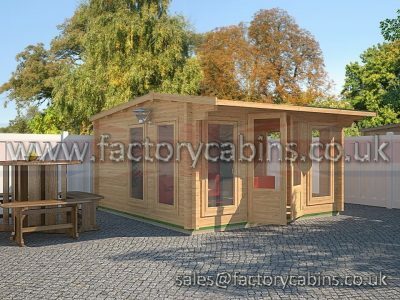 We all know just how cold it can get outdoors, so our supplier offers wall thicknesses that start at 34mm. 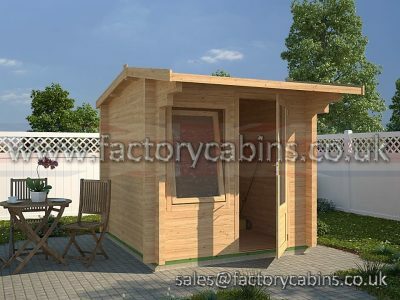 In fact, they don’t recommend that you ever purchase a log cabin with 28mm walls because it’s simply not a good construction timber thickness. 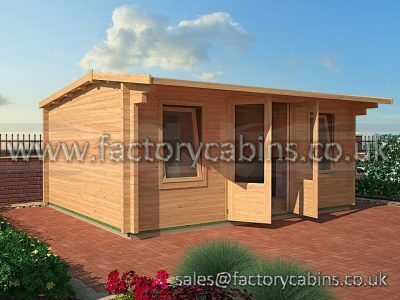 Another advantage is that DF range cabins that come with a wall thickness of 44mm or above will receive, as standard, double-glazed tilt and turn windows with a secure 5-point locking system. 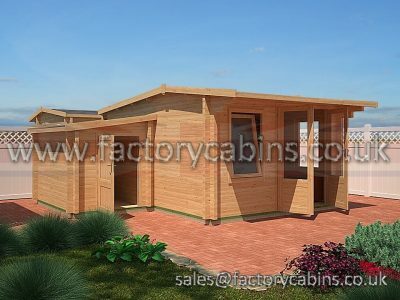 This adds even more value to this affordable yet high-quality range of log cabins.